Happy Wednesday everyone!! I hope that your week has been going well! Mine has been a little too busy to my liking, but it is a good kind of busy so I'm okay with it, lol! But with all that busy going on it means that I don't have a lot of time to spend creating cards. 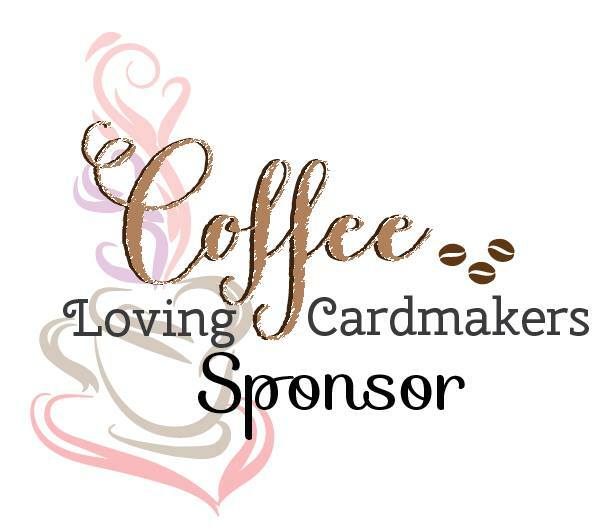 Thank goodness A Jillian Vance Design has lots of fabulous products that help you create wonderful cards when time is short! 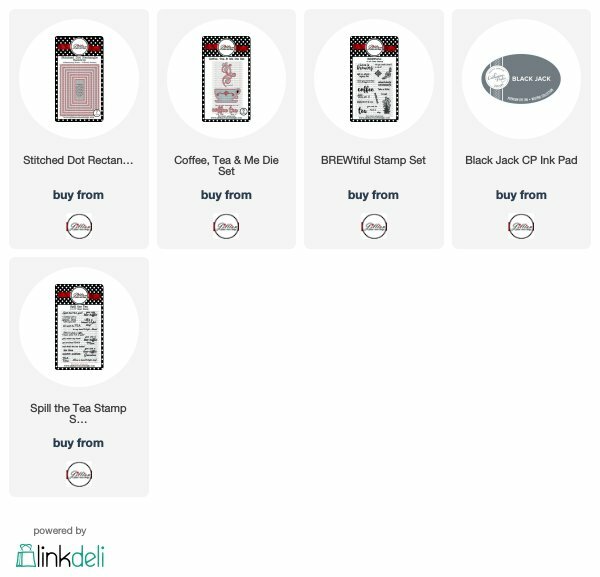 My card today uses the new Coffee, Tea & Me die set and the new Spill the Tea stamp set, as well as the BREWitful stamp set. As you can see my card is very simple, but I think it would be perfect for the mom who likes things plain and simple! I dug through my stash of patterned paper and pulled out some papers from Teresa Collins pad that has a valentine theme. 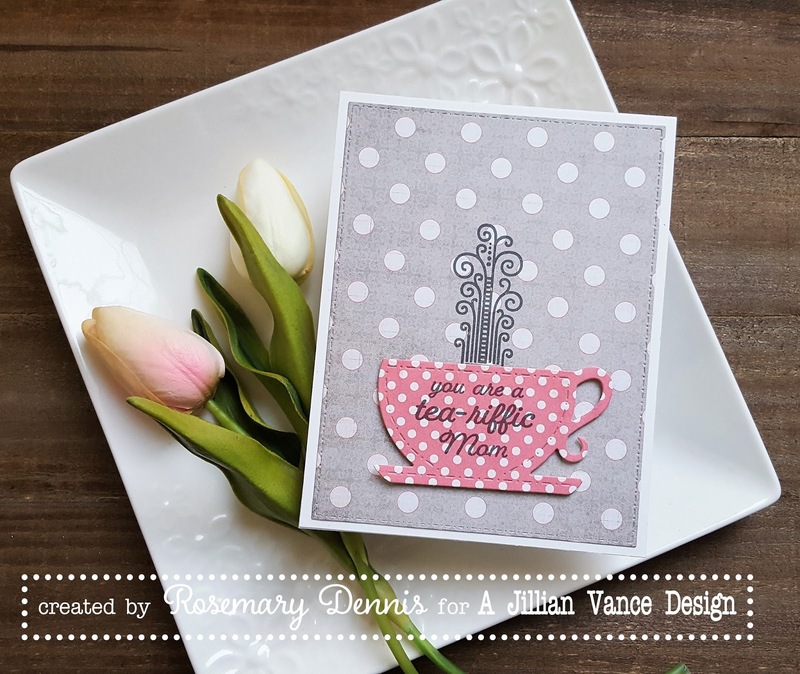 I die cut the cup from the pinkish polka dot paper and then stamped the sentiment inside using Catherine Pooler Black Jack ink. 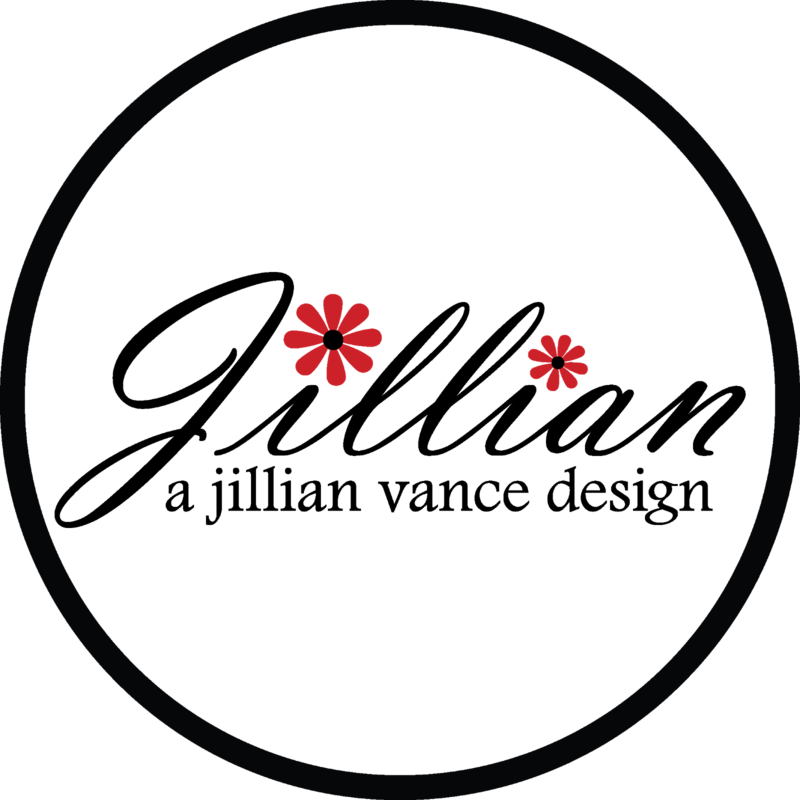 The large polka dot paper was die cut with the largest Stitched Dot Rectangle die and then I placed the cup on so I could determine where to stamp the 'steam' coming out of the cup. I just love the art deco look to the steam curls! The steam was also stamped using Black Jack ink and then I adhered the cup with foam dimensionals. The panel was then adhered to an off white cardstock base. Oh that steam is so neat, Rosemary! Wonderful choice of papers--great card! Well, you had me with all of the cute polka dots and that nifty steam! This is cute Rosemary!